In addition to extensive experience with arbitrators and mediators providing an understanding of what has and has not worked, and experience in a variety of legal fields, Mike has trained extensively to be a neutral and gained experience as one. 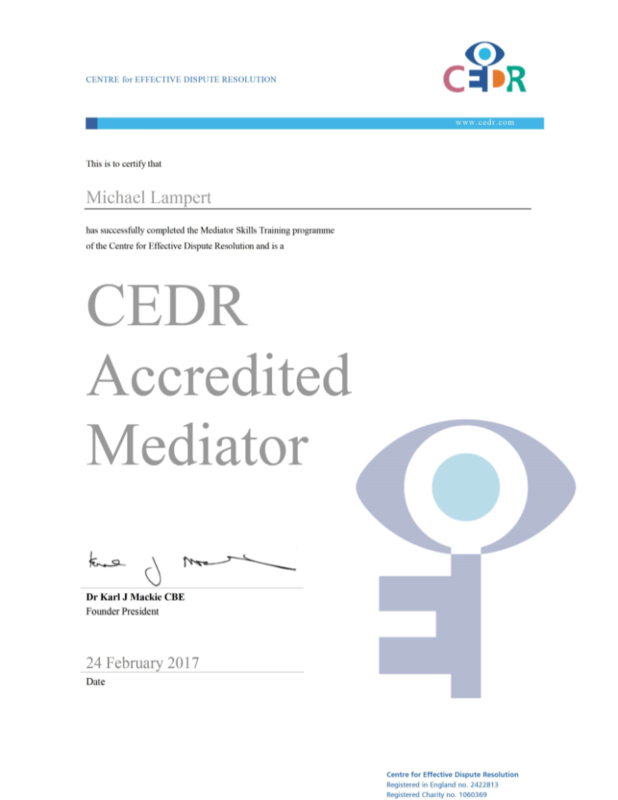 Mike is a CEDR Accredited Mediator having completed a 36 hour advanced mediator course by the Center for Effective Dispute Resolution (CEDR) including several evaluated mock mediations as well as classes and written reference material. Mike earlier completed the AAA's 40 hour basic mediator training program that also included classes taught by experienced mediators, written material, and acting as an evaluated mediator twice. Mike is on the District of New Jersey's list of certified mediators. 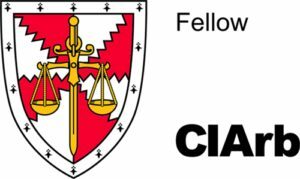 Mike is a Fellow of the Chartered Institute of Arbitrators, received its Diploma in International Arbitration and is Secretary of its New York Branch. 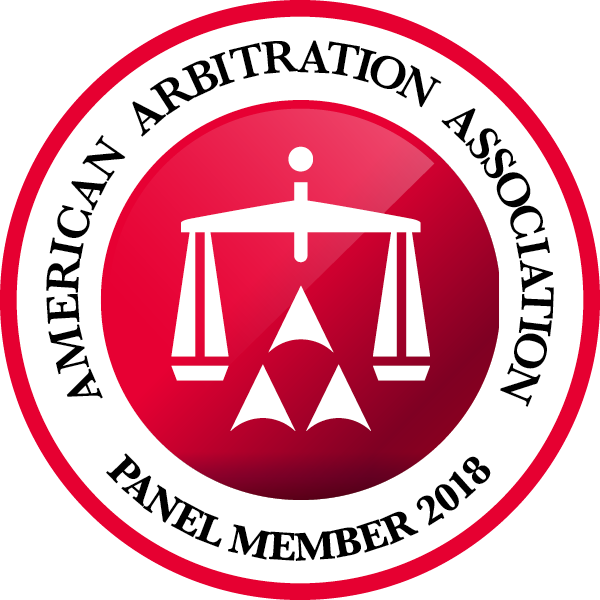 The American Arbitration Association Panel of Mediators and its National Panel of Arbitrators both include Mike. The International Institute for Conflict Prevention and Resolution - CPR's Panel of Distinguished Neutrals - both arbitrators and mediators -includes Mike. See New Panelist, p. 11. The World Intellectual Property Organization (WIPO) rosters of both Arbitrators and Mediators include Mike. Mike is also a member of the London Court for International Arbitration (LCIA) and the Silicon Valley Arbitration and Mediation Center (SVAMC). Mike is a member of the Council and Arbitration committee of CPR, the President's Committee for the Efficient Resolution of Disputes and the Arbitration Committee of the New York City Bar Association after a three year term on its ADR (mediation) Committee.